Controller - Apex Aquacontroller, w/various modules. Kalk Reactor – GEO KR-618 fed by ATO peristaltic pump. ATO – LiterMeter III or Osmolator using peristaltic pump. I expected to have to do some floor strengthening, but was pleasantly surprised to find it was not necessary. I had the tank location reviewed by a structural engineer. The tank will sit perpendicular to 5 2X10 joists spanning only 48” between the poured basement wall and steel I-beam. Nothing additional was recommended as the intended location will support 5500lbs. Lots of decisions still pending including final decisions on lighting, overflow and sump design. I really like uncleof6’s sump/fuge design and plan on simply scaling it up for my needs. This will also be my first attempt as hard-plumbing. I figured I’d start with the saltwater mixing station hoping to make the beginner mistakes there rather than on the tank. For those that might be wondering about the “Blue Wall” thread title – I’m planning on painting the wall behind the tank a cobalt blue (the rest of the room is white.) As the Kessil pendants put out an incredible amount of shimmer, and this tank is open-top, I’m hopeful it might turn the entire wall into an interesting, shimmery backdrop for the tank. Thank you for taking the time to read this and for all the questions and advice I’ll no doubt be asking for. One decision down - I've decided to go with the Cole-Parmer Masterflex pumps for the automated water changes. I've got a few laying around that I've collected over the years and it made sense to put them to use rather than acquiring a Litermeter III and the associated pumps. In addition, they are built like tanks - Compared to the 300 hour recommended service interval on the LM3, I've had one Masterflex pump in continuous service (feeding a calcium reactor) for about 5 years that continues to run like clockwork. I'll use a 2 head unit for the continuous water change and a separate single for the ATO. In the first post, you mentioned removing currently hung LED fixtures. Are you planning on using these with the Kessils or repurposing them elsewhere? Looks like a great build and can't wait to see the progress. I plan on using just the Kessils (actual number of fixtures YTBD) mounted on goosenecks on this tank. 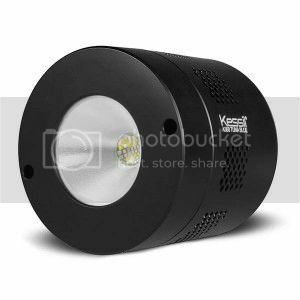 Speaking of LEDs, I'll also have to work out a lunar solution as the Kessils don't dim low enough for use as moonlights. Apex lunar module perhaps. It seems I underestimated the amount of room these 200 gallon tanks and associated mixing/CTW plumbing was going to require. As a result, I've had to remove a series of storage racks and turn a rarely used second guest room in the basement into a permanent storage facility. I completed a rough design and placed the plumbing orders from Savko, USPlastic and Cole-Parmer. It took far more hours to think through the saltwater mixing station design than I anticipated and then even more to figure out each individual plumbing component. No doubt it contains lots of newby-plumber mistakes, but I think it will be functional. I stepped down from the 2" tank outlet to 1 1/4 to match the inlet/outlet size on the DC 1050 pump. I'll post a picture (trying to develop some Sketchup skills) otherwise it will be simple drawing with hopes someone with more experience can critique. All that needs to be added is a manifold and slight rerouting of the siphon and trickle drains to incorporate the occasional use of filter socks (or perhaps just the siphon as very little water will flow through the second drain.) I'll create a 5 tap manifold for the GFO, GAC and BioPellet reactors and a couple spares. I think I've also changed my return pump selection, deciding to go with the Waveline 12000. It provides more flow and head pressure than the Diablo. The only inconvenience is the intake is larger (1.5") requiring some plumbing changes to the saltwater mixing station. Still researching GFO, GAC and bio pellet reactors. I've had lots of flow issues with the BRS reactors over the years, so perhaps Vertex or NextReef MR1s. I'd like to use a manifold tap to drive the CaRx, but I've had such great luck with the Cole-Parmer - I'm not sure I want to fool with it. I also decided on a Vertex Alpha 250 as it will run happily in 10" of water. Perhaps the greatest challenge will be fitting all the "Dry" equipment into the remaining 22X29 space in the cabinet. Sounds like you are going about things the right way. I look forward to your complete and well written updates. I know I can count on fellow RC'rs to point my mistakes as they occur. We use the latest, most energy efficient DC pumps to save energy and reduce the amount of heat being added to the tank. Buy MORE, LARGER, energy sucking HEATERS that are now needed to compensate for the missing Metal Halide heaters (poorly disguised as lights) and all the cold, energy sipping devices we just paid a huge premium for. I guess the nice thing living up north is you could keep your tank at 72-75 year round if you wanted and save some money that way. It wasn't so much the expense, rather the realization of the scale with a larger tank/system. I never even thought about having a few of 150W heaters in the tanks Somehow it struck me when planning on upwards of 800 Watts. As for being up north, although we save on cooling during the winter, we spend on heating and still have to deal with summer air conditioning and dehumidifiers. Haha - yeah, that's one of the reasons I moved to Florida. 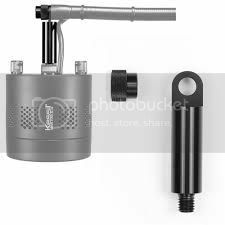 They sell some really nice in line titanium heaters now that might work for your system. I've seen them recommended on other threads, although I have to admit I don't remember the name. I'm sure someone on here knows what I'm talking about though. I have 2 500 watt heaters in my 250 gallon system. I have them staged so the second one only kicks on during real cold days. My sump is in the basement as well. I am replacing my 3 MH lights with 3 Radion Pro's and I know my electric bill may climb in the winter months as a result. Now what I really am really interested is how your DC return pump will work. I currently have a PanWorld PS200 which is the power hog of the system since it runs 24/7. I did some calculations on head pressure and it seems the DC pumps may come up a little short. RO/DI and Saltwater tanks are in place. Each hold 200 gallons (30"DiaX72"tall) I've started roughing out the plumbing and the Waveline DC12000 should get here Monday along with a few missing plumbing components. I'm estimating ~7 GPD evaporation. I'll rig a latching float system with the Apex which will automatically fill the RO/DI tank. Other than monitoring and periodically changing RO/DI filters, resin and membranes, The ATO system should require very little maintenance. The plan for the AWC is to use a Masterflex pump driving 2 peristaltic pumps to replace about 4 GPD. This should yield a ~40% monthly water change and require refilling the saltwater tank every 6~7 weeks. I am having some second thoughts on the tank dimensions. I initially decided on limiting the tank height to 22" so I could reach the substrate with the tank sitting on a 36" tall stand. I'm now thinking that perhaps I should just go with the 320 and gain the additional 4" of height. LOL - Thanks Dave, but I think I'll stick with my original 58"overall height so I can leave my SCUBA gear in the closet when aquascaping. Love the plastic tanks! 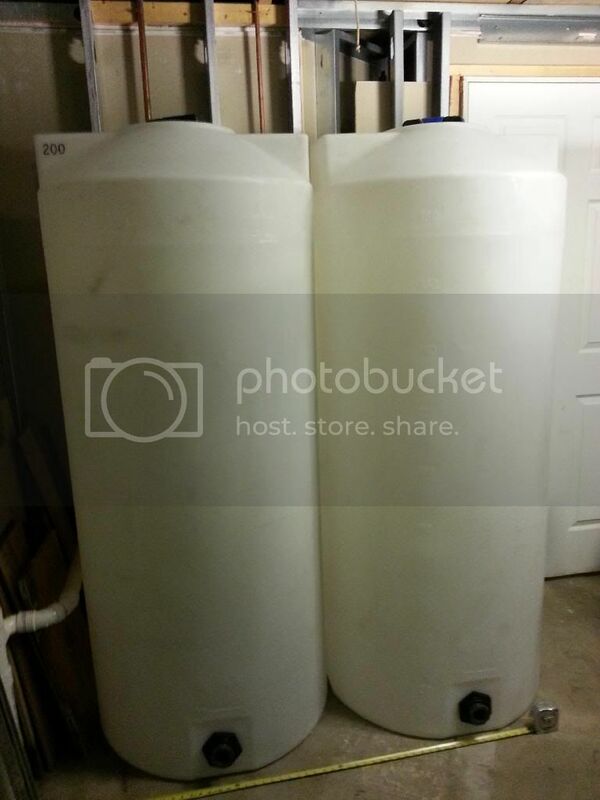 I got myself two 50 gallons of the same type. I had just enough room to shoe-horn these in. I wanted the very largest tanks possible to minimize ongoing maintenance. After much deliberation, I committed to the Kessils A360WE's and took advantage of a 10% off coupon through ReefGeek (not to mention the things are sold out most everywhere else.) With my shallow depth and the additional 15% output from the new "E" models, I'm hopeful they will end up being a great choice. I ordered 5 to begin with to see what 1 unit every 18" looks like. The gooseneck adapters should give me the ability to "stagger" the lights if needed to cover the 30" front/back. I also decided to roll the dice and try the Jaebo WP series pumps. I ordered 4 60's, and a couple 40's and 10's to test. Looks good Tom. Who is building the tank and why only 1/2" glass? Every glass tank builder I spoke with about doing an 8ft tank wouldn't use anything less than 3/4". I used the same builder for my 320 and yes it is 1/2. No problems so far going on 2 years. GLA has been in business a very long time and I looked closely at Steve's build quality and seams. I was very impressed. In my research, I was unable to find any reference to a large GLA tank failing. This build is only 22" high, so it's under far less stress than a typical 320 build. Steve does extensive internal glass bracing along the bottom of the tank. The fact they are building the tank, sump and stand and delivering/placing all was also a comfort. It's the height of the tank, not the length, that determines glass thickness. I have had tanks up to 36" at only 1/2" glass with no problems. That said, you will still want euro-bracing and a few good cross braces over the top to be sure. In finalizing the designs for the saltwater mixing station, I'm reconsidering the use of a Kalk reactor. Years back I read a great article written by Randy Holmes-Farley on the benefits of adding vinegar to fortify Kalk. Since then, I've had success adding vinegar to Kalk, both to increase the amount of available calcium and as an added carbon source. I attribute this process (in addition to the use of DSBs) to my never having any nitrate issues. As this will be my first large tank with a SSB, I want to do all I can to maximize biological filtration - including the use of vinegar. The use of a Kalk reactor makes that more complicated. Instead, I plan on adding a covered 40 gallon brute to the mixing/storage station which will be fed by the RO/DI storage tank and hold an over-saturation of Kalk to which Vinegar can be dosed. This will be the ATO source. Adding yet another water container will be a tight fit in the basement, but I think the benefits outweigh the inconvenience and if for some reason it fails to perform as expected, I can always add the Kalk Reactor. I am looking forward to seeing some photos of the Kessils and hearing what you think of them. I am still trying to determine which lights to go with for my tank build and these are a definite contender. Just ordered my tank a week ago from Steve as well. Can't wait to talk to you about this on Thursday. Sounds like a fun build.